Chicago's luxury rental market is as hot as ever. With all kinds of new construction developments popping up all over town, finding a place that fits all your needs, wants, and of course budget has become increasingly complex! 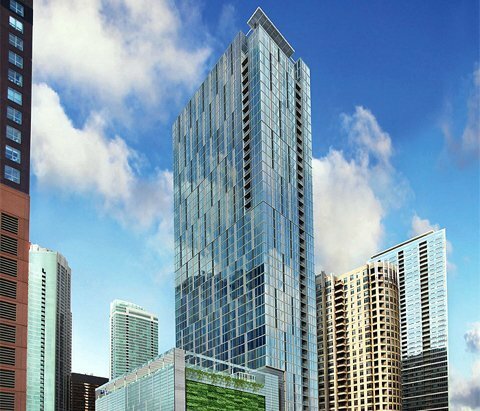 If you're in the marker for a new luxury apartment rentals in downtown Chicago, take a closer look at some of the hot new rental developments featured below, and as always, contact Helaine Cohen at (312) 953-0961 to schedule a private showing! Completed in 2014 and situated right alongside the Chicago River, 111 W. Wacker is arguably downtown Chicago's hottest new apartment development. 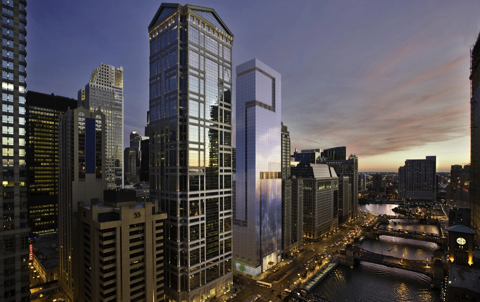 In all, 111 W. Wacker, also commonly referred to as OneEleven, stands 50 stories high, houses 506 luxurious rentals, and also includes on-site parking for 439 cars. Interiors here are among the best of any building in downtown Chicago, while the amenities package includes an indoor pool, a fitness center, a business center, and an expansive theatre, game room and media room. Residents at 111 W. Wacker are also provided with a close proximity to plenty of transportation, not to mention Chicago’s primary business and financial district, as well as the Chicago theatre district. Right across the river is the River North neighborhood, which also features some of the Windy City’s best shopping, dining, and entertainment. Check out active 111 W. Wacker apartments for rent or call Chicago Condo Finder today at (312) 953-0961 for help with your downtown Chicago rental search! Efficiently combining historic charm and character with modern luxury and sophistication, 850 N. Lake Shore Drive is absolutely one of downtown Chicago's hottest new rental buildings. It's position right on the lake front puts residents just steps from Michigan Avenue, Oak Street Beach, and Navy Pier, while inside, rentals here offer lavish finishes and spectacular views of both the water, and the surrounding Streeterville neighborhood. Floor plans at 850 N. Lake Shore Drive feature studio, one, two, and three-bedroom layouts, so there’s something for just about everyone here at this magnificent address. Building amenities include an elevated dog run, concierge service, indoor parking, package receiving, a resident lounge, and even a swimming pool. To learn more about 850 N. Lake Shore Drive or to view active apartments for rent on the MLS at 850 N. Lake Shore Drive, click on the link below! Check out active 850 N. Lake Shore Drive apartments for rent or call Chicago Condo Finder today at (312) 953-0961 for help with your downtown Chicago rental search! 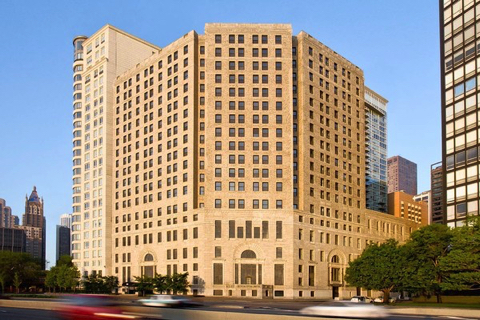 Like 111 W. Wacker, 500 N. Lake Shore Drive was developed by Related Midwest and offers some of the most lavish rental apartments in downtown Chicago. Unlike apartment units at OneEleven, however, which of course is Related’s other prominent luxury rental building in downtown Chicago, living spaces here at 500 N. Lake Shore Drive feature spectacular views of Lake Michigan in most cases, while its location is just steps from Michigan Avenue, Navy Pier, and Chicago's gorgeous lakefront. In addition, residents also aren't far from the CTA Red Line, which travels to many other parts of downtown, as well as up through Chicago’s north side. Inside, apartments for rent at 500 N. Lake Shore feature contemporary finishes, floor-to-ceiling windows, and living spaces that are open, spacious, and totally functional. Door service, an on-site dog/pet daycare, a state-of-the-art fitness center, valet dry cleaning, a resident lounge, and a cyber cafe are all amenities available residents. For additional information about rentals at 500 N. Lake Shore Drive or other luxury apartments somewhere around downtown Chicago, contact Chicago Condo Finder today! Check out active 500 N. Lake Shore Drive apartments for rent or call Chicago Condo Finder today at (312) 953-0961 for help with your downtown Chicago rental search!